Get ready Melbourne! 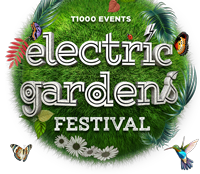 This Summer Electric Gardens returns on Friday 18th January with an all-star line-up showcasing the very best of electronic and house music! With a 3:00AM finish, there will be proper warehouse vibes with house maestro Erick Morillo and techno legend Eats Everything! Live support comes from Australia’s superb Bag Raiders and, finally, Set Mo featuring vocalists Woodes, Asta and Thandi Phoenix rounds off what will be one big night at Shed 14. 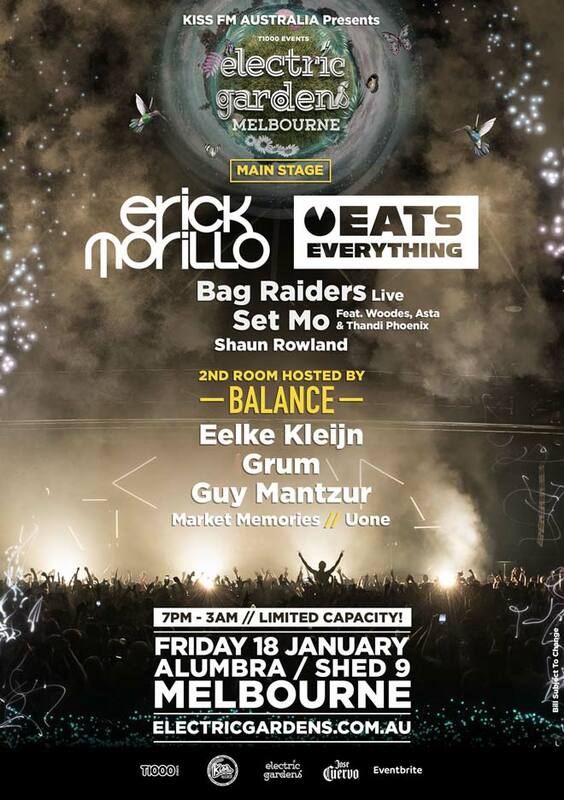 And we are pleased to announce that Eelke Kleijn, Grum & Guy Mantzur will be commanding the Balance Stage at Shed 9! LIMITED 3RD RELEASE TICKETS ON SALE NOW THROUGH EVENTBRITE. Respect the beautiful surrounds of our venue locations.